A team of international researchers from eight countries has discovered that current polar bears have a common Irish ancestor. The research, which was led by Professor Dan Bradley of the Smurfit Institute of Genetics at Trinity College Dublin, examined genetic material from more than 240 bears, both living and long dead, from 14 different locations. They found the closest genetic match to living polar bears in material recovered from bones of extinct Irish brown bears held in the National Museum of Ireland. The last brown bears disappeared from Ireland some 3,000 years ago, but the genetic material came from bones belonging to bears that lived in Ireland between 11,000 and 38,000 years ago, in the middle of the last ice age. At the time Ireland was covered in sheet ice, and an ice shelf extended out into the north Atlantic, allowing range of polar bears and Irish brown bears to overlap. “We found they were the closest species yet to polar bears,” Professor Bradley said. "It’s amazing to think that Irish brown bears are the ancestors of the modern maternal polar bear lineage,” added the paper’s lead author, Dr Ceiridwen Edwards, formerly of TCD and now at Oxford University. 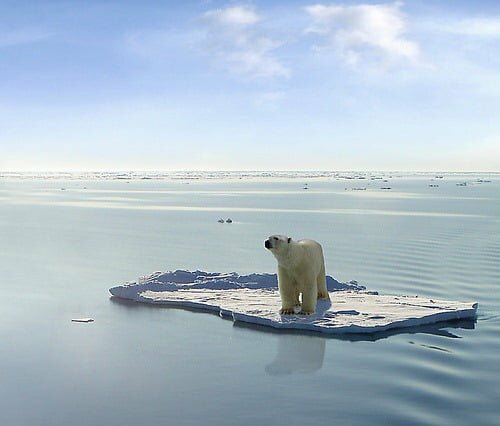 "As the hybridisation between the two species occurred at a time when their home ranges overlapped, most likely during environmental stress, this has implications for polar bears in today’s climate." The research was published last week in the journal Current Biology.